Craniosacral Therapy is a gentle, non-invasive hands-on practice that can provide profound, and long lasting healing results for many patients with chronic pain. The client is clothed on the treatment table, much like physical therapy or chiropractic. ilani Kopiecki is trained to read the cranial rhythm of the body. The cranial rhythm is separate and distinct from the breath rate and heart beat. By putting hands on gently, ilani can feel this rhythm anywhere in the body. In particular, she is looking for a lack of this rhythm, and by treating those areas she can treat the source of a wide range of physical problems, rather the just the symptoms. After just a few sessions of this marvelous healing modality many clients are rid of their nagging pain and regain their joy for living. 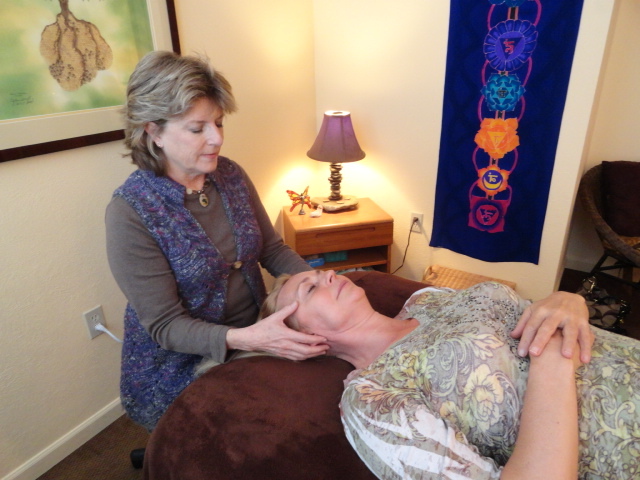 ilani has been privileged to practice Craniosacral therapy for over ten years.